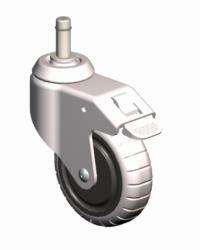 These casters use a stem with a grip ring as a fastening device and are available in various sizes. 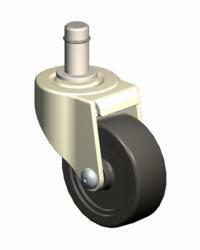 Browse our large selection of light duty stem grip ring casters organized by different brake options. 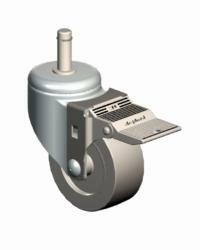 The brakes are designed to be engaged and disengaged with your foot. Narrow your selection by clicking on the brake option you require. 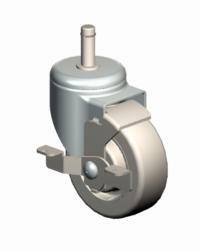 Please note that all grip ring stem casters require a corresponding socket that can vary depending on the specific application. Once you choose a grip ring stem caster, our customer service department can help match the correct socket, i.e. for round or square tubing, for your specific need.